Sure, regular old black coffee is vegan, but cafe au lait, cappuccino, and other coffee drinks are decidedly not vegan—or at least, they aren't usually. While you can now find milk alternatives used at many coffee shops, you often pay a premium. By making them at home, you will save money and you can control exactly what goes into your mug. Learn to make dairy-free, vegan versions of usually-milky coffee drinks. Also, explore drinks that don't include any milk or milk alternatives and learn how to enjoy your coffee black but flavored. You'll be able to spice up your coffee breaks while maintaining your vegan diet or lifestyle. 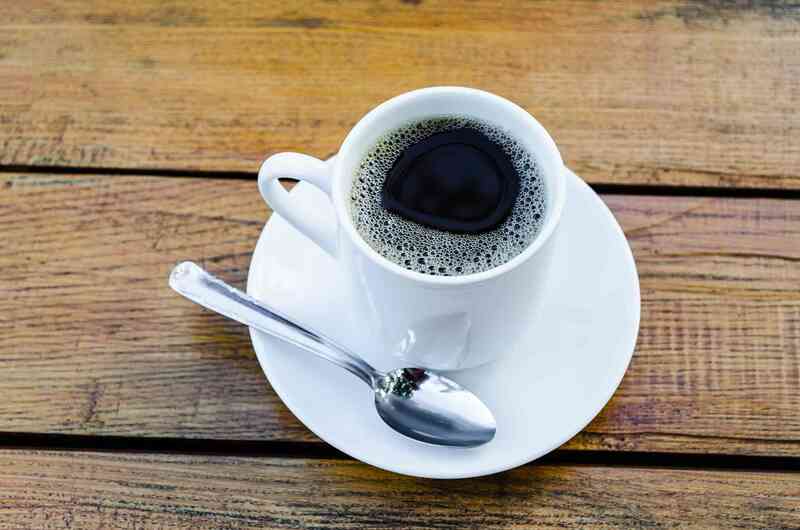 Also known as cafe noir, New Orleans coffee is coffee spiked with chicory, a bitter perennial herb that adds a chocolate-caramel flavor without dairy, sugar, or calories. It's naturally vegan, and it's a wonderful way to mix up your usual black coffee routine. It has lower caffeine naturally as well. This quick, easy recipe is akin to cafe au lait, but it's made with soy milk (or another dairy alternative) and with an instant coffee, like Starbucks VIA. You can use almond milk, cashew milk, rice milk, or coconut milk if you prefer. You may want to try different milk alternatives until you find the one that gives you the creamy mouthfeel and flavor you are seeking. This vegan variation on the classic Irish coffee cocktail is made with optional vegan whipped topping instead of whipped cream. You can enjoy your coffee and whiskey dairy-free. Use this cold-brewed coffee tutorial as the basis for all kinds of vegan coffee drinks. With cold brewing, you will steep coffee grounds at room temperature for up to 24 hours. The concentrated coffee can then be diluted with water used for cold coffee drinks. Add spices, vegan sweeteners, dairy alternatives, and other ingredients for extra flavor. You can make a vegan coffee simple syrup to use as the base for other vegan drinks, such as instant sparkling coffee sodas. You can add it to vegan smoothies, vegan "milkshakes," or vegan hot chocolate, as well as vegan coffee cocktails. This homemade coffee liqueur is like Tia Maria or Kahlua, but you can control everything that goes into it. You will add the ingredients to rum if you are imitating Tia Maria or to vodka if you are imitating Kahlua. It only takes 10 days of steeping to produce your liqueur, which can make a nice gift, especially during the holiday season.